Australians have been urged to beat obesity. With the portion of the population that is overweight higher then every people are being encouraged to exercise and eat better. Australia is currently ranked one of the fattest nations in the world. 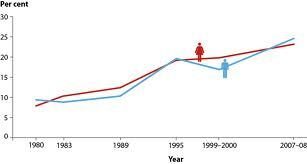 The prevalence of obesity has doubled in the last 20 years and it is only getting worse. Ezymats mats have been used by customers from all walks of life to exercise and lose weight. Activities people participate in when using our jigsaw mats include but are not limited to; cross-training, circus training, acrobatics, martial arts and combat training just to name a few. Our 40mm jigsaw mats are ideal for impact minimisation for all jumping and ground activities. Training can take it’s toll on the body especially when you’re jumping around. EVA mats reduce the impact on the bodies joints meaning you can train harder and longer. So whatever your activity make Ezymats jigsaw mats your first choice in training safety flooring.